Dynamic language library developers face a challenging problem: ensuring that their libraries will behave correctly for a wide variety of client programs without having access to those client programs. 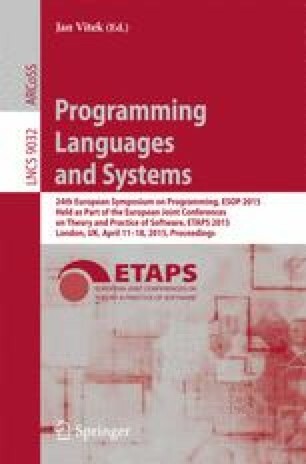 This problem stems from the common use of two defining features for dynamic languages: callbacks into client code and complex manipulation of attribute names within objects. To remedy this problem, we introduce two state-spanning abstractions. To analyze callbacks, the first abstraction desynchronizes a heap, allowing partitions of the heap that may be affected by a callback to an unknown function to be frozen in the state prior to the call. To analyze object attribute manipulation, building upon an abstraction for dynamic language heaps, the second abstraction tracks attribute name/value pairs across the execution of a library. We implement these abstractions and use them to verify modular specifications of class-, trait-, and mixin-implementing libraries.